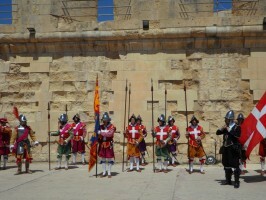 Compare and book car hire for Gozo in Malta. Cars can also be collected from the Mgarr Harbour Terminal. 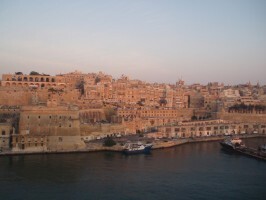 Cars are available from downtown Gozo, or we can arrange delivery to your hotel. We make it easy to select the best deal for car hire in Gozo with low cost prices and all-inclusive rental rates to suit every budget. If travelling in a group, we can offer Minivans and MPV vehicles from Ford and Citroen that will seat 7 or 9 in comfort. Always try to book your rental car early, so the car of your choice will be waiting for you at the airport or if wish we can arrange free delivery to your holiday resort. 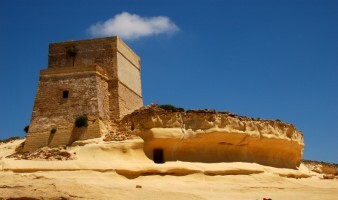 Gozo benefits from long warm summers and short mild winters, that can sometimes be wet. Gozo and the surrounding islands, are a place of natural beauty and serenity making a for a very relaxing holiday destination that may be visited all year round. Cheaper Maltese Minivan rental starts by booking here. We offer cheaper vehicle deals in Gozo. Compare SUV, MPV and minivan rates in Gozo. Indiana Jones would be at home in Gozo, with one the most important temples (from an architecture perspective) located in Gozo. The Ggantija Temples date back to Ggantija phase 3600 BC. Extensive restoration work has been carried out during the 20th Century and it should be on top of your list, for an educational and fun day out. One of the most striking features are the outer walls, that are built using the header and stretcher technique. Some blocks of the granite used, weigh over 5 ton and stretch over 5 meters. Experience Maltese village life, by either a simple stroll in the country side, or rent a farmhouse and stay for a few days. If you choose the later option, you will need to book a hire car, as local transport will be limited at best. An hourly ferry service, weather permitting, operates from Cirkewwa Malta ferry port to Mgarr Gozo ferry port. Prefer to fly and view the crystal blue seas, then a helicopter service is available from Malta Airport.